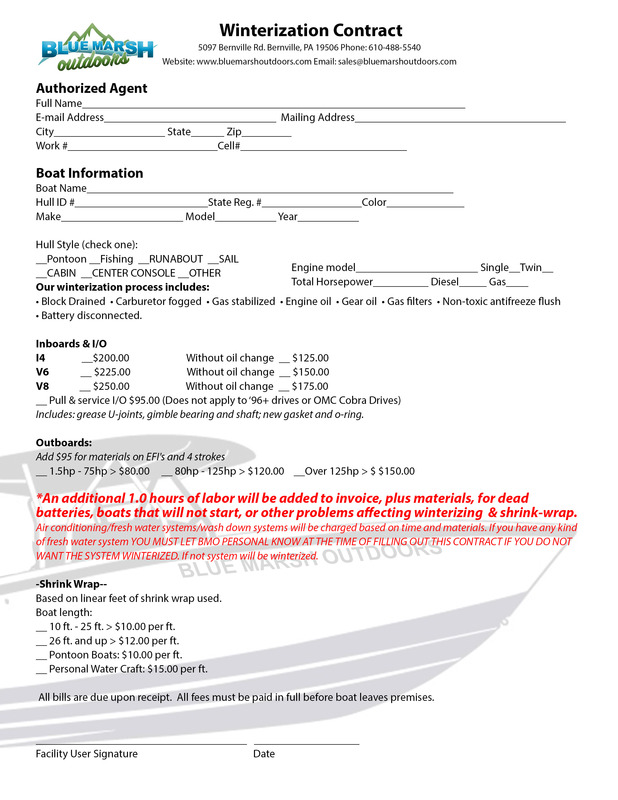 Blue Marsh Marine - Full service boat repair and maintenance shop. Let Blue Marsh Outdoors be your full service maintenance shop! We can do it all; from tune-ups and spring flushes, to rebuilding or repairing your engine, carburetor, or lower unit. We also do winterizations and shrink wrapping to prepare your boat for those cold Pennsylvania winters!